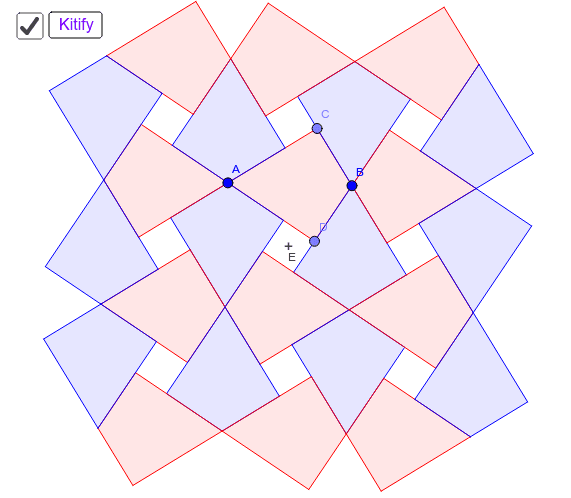 Playing around with another Christopher Danielson tiling... His 60-90-120-90 kite has this neat overlapping squares tessellation with congruent squares for gaps... so nice! I realized playing with it that you just needed opposite 90 degree corners to get the effect. Such a sweet pattern. Do you see any other ways to generalize it?